Hadithi Picha’s photo series Women and Motorcycles features Anna Katrin, another one of our InkedBiker former trainees. I started riding about one-and-a-half years ago. Riding had always been at the back of my mind since I got my driver’s license at the age of 18. However, getting a riding license was a costly affair in Germany at the time and I therefore decided to be content with driving a car. Things looked up when I moved to Nairobi. 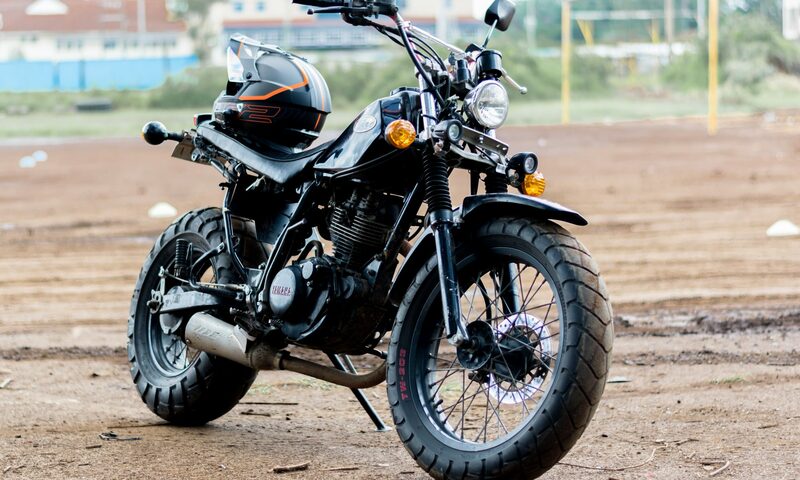 I became good friends with a Kenyan lady biker and that is when my inspiration to ride was set ablaze again. It was finally time to do it and I am glad I went for it. I enrolled for training at the InkedBiker Rider Training. I got hooked to the fun of riding a bike from the very moment I sat on the bike. My excitement made me want to hit the road on my second day of learning how to ride. The instructors where simply amazing and encouraged one to enjoy biking while at the same time placing great emphasis on rider safety.